One of my resolutions for 2013 was to paint every day. I am eager to improve my oil painting skills (or lack of). I began with this egg still life. I have chickens, and this egg is one from my now grown leghorn hens. The painting took me the whole day to complete, but I’m pretty happy with it. 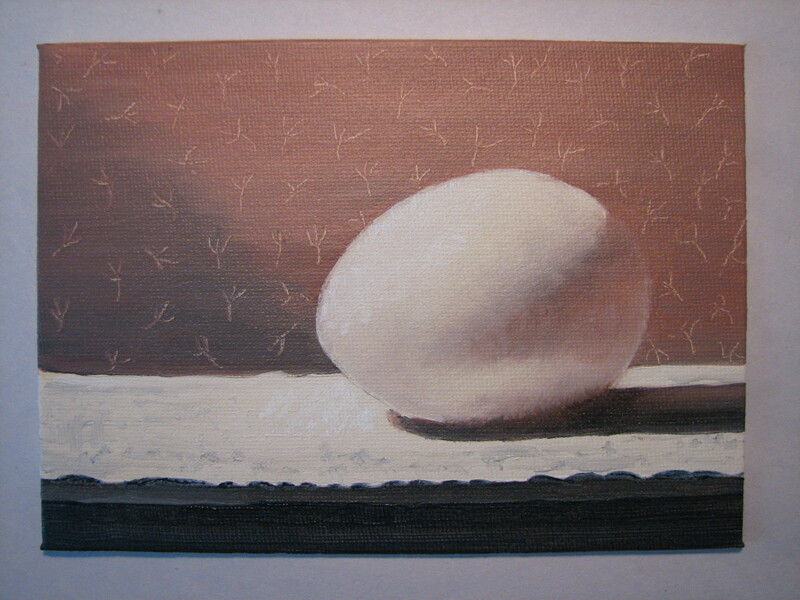 I thought I’d get this blog going and post this little egg painting. My intent is to make my artwork available for sale on this blog, but I have to figure out how to do this. Tomorrow I’ll update the “About” page, and do some investigating. Categories: Artwork, Oil Painting, Painting | Tags: egg, oil painting, painting a day, painting of egg | Permalink.